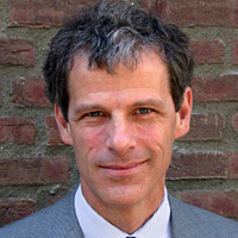 Robin Cowan is Professor of the Economics of Technical Change at the University of Maastricht, and Professor of Management at the Faculty of Economics and Management at the University of Strasbourg. He began his official affiliation with UNU-MERIT in 1997 as a Professorial Fellow. He is currently the Director of the PhD programme in Econonics, Innovation and Governance for Development and UNU-MERIT. He studied at Queen's University in Canada and at Stanford University where he received a PhD in economics and an MA in philosophy. Robin Cowan was Assistant Professor of Economics at the University of Western Ontario until 1998. His current research includes several topics: the changing economics of knowledge; social networks and innovation; network structure and network performance; universities and science in emerging economies; interacting agents models. In the past he has done consulting research for the OECD on the economics of standards, the European Commission on innovation policy, and the National Renewable Energy Laboratory on technological lock-in and renewable energy technologies. In 2004 he won one of 15 prestigious Chaires d'Excellence of the Ministry of research and Education in France, and in 2013 was made a Senior Member of the Institut Universitaire de France.